There’s lots in the way of untapped solar energy potential in the Northeast US, and a convergence of factors is under way that leads Santa Barbara, CA-based distributed solar energy investment specialist Wiser Capital to conclude that regional solar power investment and new generation capacity is primed to boom. 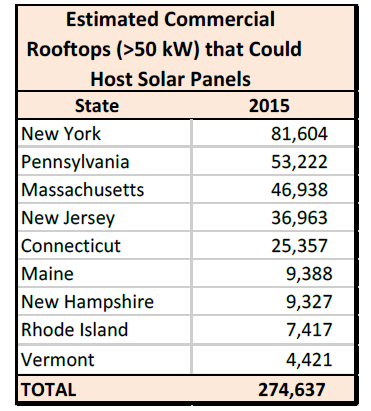 Some 274,637 commercial buildings across the Northeast are suitable sites for solar PV systems, Santa Barbara, CA-based Wiser Capital says in its ¨2015 Solar Economic Barometer.¨ Collectively, installing solar PV systems at these sites could produce some 94,733MW (megawatts) of clean, renewable electricity for on-site use and grid distribution. Tapping into the Northeast region’s solar energy resource also opens up an investment opportunity of around $67.5 billion, Wiser estimates. In addition to ¨huge cost savings to corporations…,¨ making these investments in solar energy projects will bring about substantial improvements to environmental and human health and integrity and create thousands of local ¨green¨ jobs. The institution and success of the Regional Greenhouse Gas Initiative carbon pollution offset market (RGGI), along with leading pro-solar initiatives launched by state governments, such as solar renewable energy certificate (SREC) markets and other programs in New York and Massachusetts, is paving the path toward a new solar energy boom, Wiser writes on its blog. Around 30 percent (28,401MW) of regional commercial building solar power potential is in New York. Just over 17 percent (15,975MW) lies in Massachusetts. Wiser defines a mid-scale commercial solar installation as having between 50kW (kilowatts)-2MW of power generation capacity, the average 350kW. A typical 350kW commercial solar PV system in Massachusetts supplies 80 percent of the facility’s electrical energy needs (approximately 38,500kWh per month). The commercial building occupant would realize cumulative projected savings of nearly $1 million over the system’s 25-year life cycle. 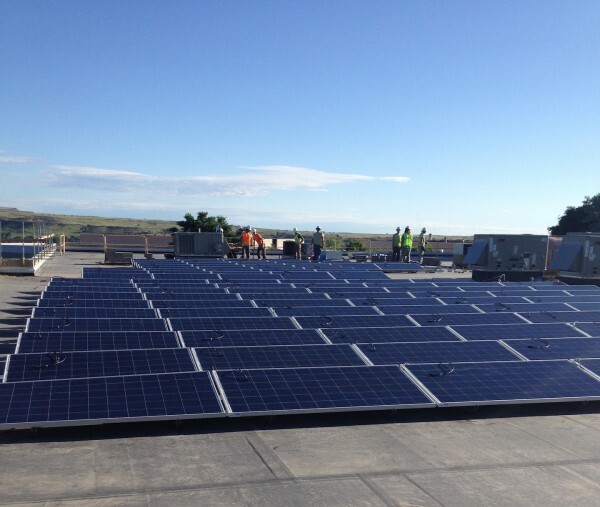 The same commercial PV system in New York consuming 43,000kWh per month of electrical energy and achiever cumulative 25-year savings of more than $1 million. “The untapped solar potential, now being made possible by strong policies and unlocking the mid-scale commercial solar investment market, stands to deliver significant electricity cost savings and electricity price certainty to corporations in the Northeast,” Homan added. Overall, commercial solar energy investment potential in the Northeast totals $67.5 billion, according to Wiser’s analysis. Taken alone, the potential in New York amounts to $20 billion and $11.5 billion in Massachusetts. “We expect to see considerable movement, growth and activity in the mid-scale commercial solar space in the coming year as corporations look to take advantage of the environmental, and now even more compelling economic benefits,¨ Homan concluded.